Joe Saldivar, Bakersfield College biology professor, presents “Smooth Endoplasmic Reticulum: A Fork in the Academic Road." 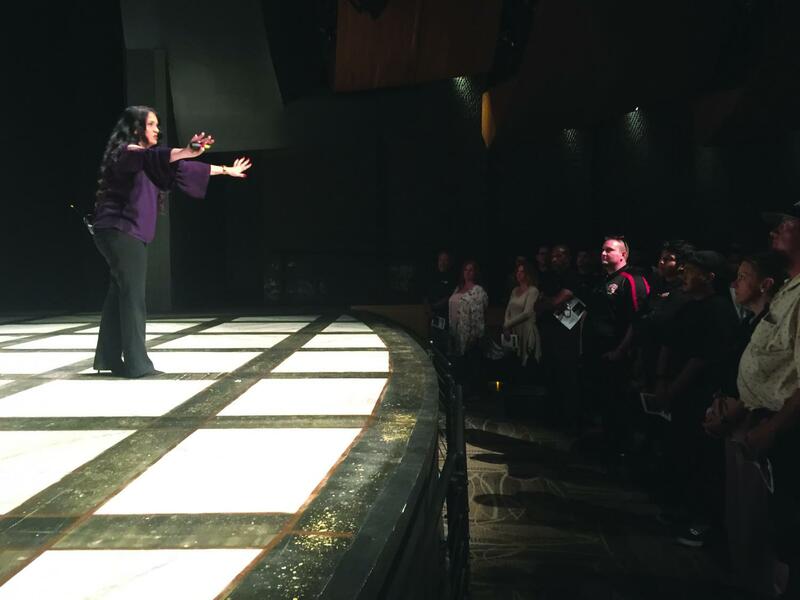 Bakersfield College presented its annual Renegade Talks on April 10 in the Simonsen Performing Arts Center Indoor Theatre. The Renegade Talks series is similar to the TEDx Talks platform, where speakers share an idea for about ten minutes. Todd Coston, Director of Information Technology at Bakersfield College and part of the team that makes up the Renegade Talks, said that he, Andrea Thorson, Dean of Instruction at BC, and Helen Acosta,Communication Department Chair, organized this year’s Renegade Talks. The Renegade Talks team selects speakers from auditions, then coaches them throughout the fall and spring. They encourage a well-rounded line-up of speakers that include College faculty, staff and students with ideas that would inspire those who attend. Teena Bensusen, a Communication major at BC, presented her topic, “Manner’s and Today’s Society,” where she explored modern-day rudeness and becoming more considerate. Chris Cruz-Boone, a Communication professor presented her topic “Rolling the Dice: Should I Play Board Games with my Husband or Should I Get a Divorce?” explores her own personal struggle with a hard choice. She had to make a choice between divorce or working on her marriage. She chose to save her marriage by playing board games and reconnecting with her husband. Amber Smithson, a Community Liaison for Behavioral Healthcare Hospital and a current BC student, presented her speech Twelve Seconds, which talked about suicide prevention and recognizing its signs. Having faced the struggle of helping her own child who had tried to take their own life, Smithson shared both statistics and gave advice on how to pay attention to suicidal signs and behaviors. Joe Saldivar, a BC Biology professor presented his talk on Biology Smooth Endoplasmic Reticulum: A Fork in the Academic Road. 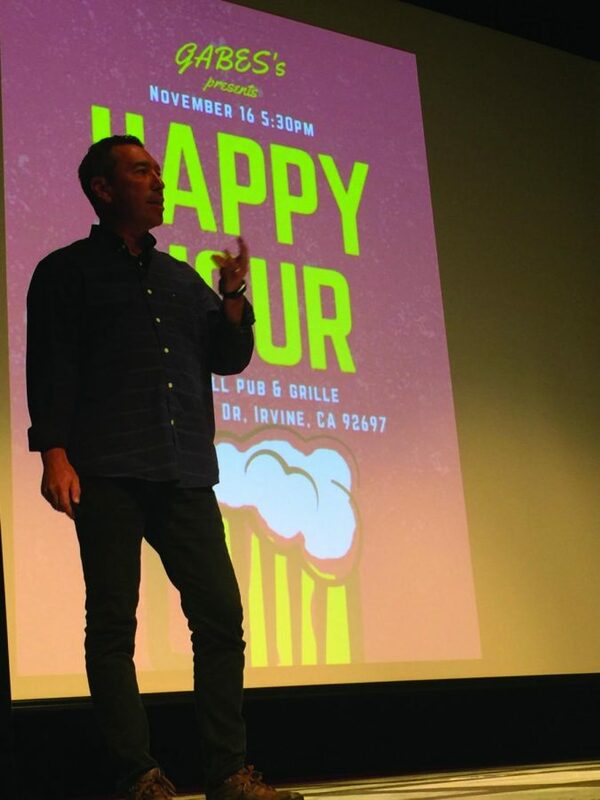 Saldivar drew a humorous parallel between the high school graduate who rushes off to a higher educational institution and finds himself binge drinking instead of applying himself to learning, and the smooth endoplasmic reticulum, which is located in the liver and allows you to handle only so much alcohol. He encouraged students who found themselves starting over, to apply themselves to their education, even if that education is starting over again at BC. Amber Smithson, BC Professor, whose own child attempted suicide, instructs audience members to stand or sit for a few moments to demonstrate how many people think or attempt suicide every 12 Seconds. Suicidal thoughts he said, “could happen to anyone,” and for people who aren’t struggling, they could be surrounded by people who struggle and they wouldn’t know. He said that he would try to do the best he could to help anyone who was struggling with suicide. He said that he is going to start playing games with his wife after listening to Cruz-Boone’s talk. “We need to build more shelves to house them and I’m probably guilty of picking them up and not using them, so yeah, we’re going to try a little harder with that,” he said. Sargeant also said that most families have issues they face and that these messages delivered at the Renegade Talks series are messages he wishes they could all hear. “More people in the community need to hear about it [the talks] and you will have to find a bigger hall. He looks forward to next spring’s Renegade Talk.